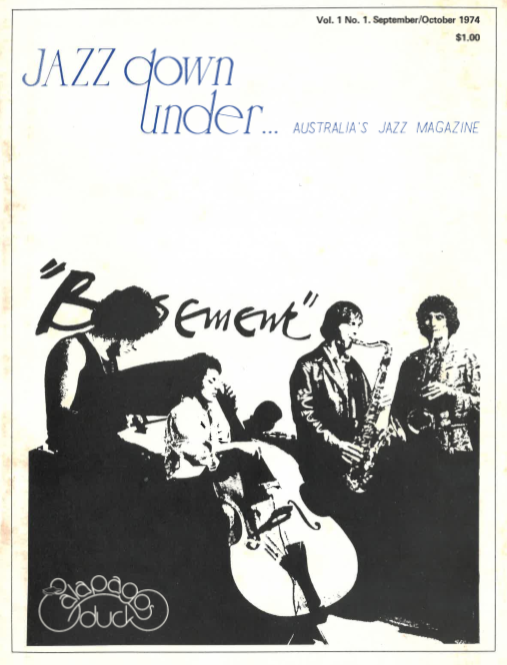 Jazz Down Under, the bi-monthly magazine which began in 1974, described itself as “Australia’s jazz magazine”. 24 editions were published between 1974 and 1978. In Sydney the concept originated in conversations between Publisher/Editor Peter Hume and Associate Editor James Cattlin, but was primarily associated with the jazz entrepreneur and promoter Horst Liepolt, who was Associate Editor and Advertising Manager.